Here at DAMY we have wanted to do a detailed article covering natural treatments for acne for a while now and the time has come! Last year while discussing some of the ways we wanted to make change through DAMY David and I had a long conversation about the struggle we have both seen in adults suffering from chronic acne. I, myself, as a teenager and then again as an adult have experienced moderate to (at times) severe acne flare ups. There are been some things that have been extremely helpful for me in healing my skin and I wish I had known about them a lot sooner. 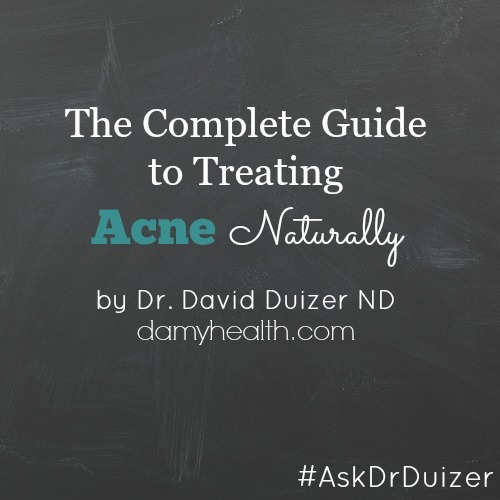 In our most recent #AskDrDuizer David goes through the causes, traditional treatments and naturopathic treatments for acne. If you experience acne or know someone who does I hope that you can use these tools to create your own healing in the fastest, safest way possible and avoid the frustration and years of “trying” that I went through. With the frustration so many go through, the hopelessness many feel and the extreme treatments people will try in hopes of clearing up their skin we decided to put together a simple guide to the natural treatment of teenage and adult acne. In addition to addressing the cosmetic struggle acne presents I feel passionate about skin health in general and the idea that the skin is a window to our overall health. Our skin is so incredibly sensitive to changes in environment, diet, stress, organ health that to me acne represents something deeper. After all the skin is our largest organ. In teenagers we know about expected hormone changes but in the 20% of adults with acne something unexpected is going on. Something that could contribute to other health concerns, have long term health consequences and represent something potentially more serious. This is all not to mention how extremely frustrating the condition is, the cost of treatment and the psychological cost associated with acne. The acne struggle usually begins in adolescents when many go through their first experience. It is a frustrating time when body changes are taking place, teenagers are trying to find their place in their own world, stress is high, hormones are high and acne is everywhere. The next step can often be social withdrawal, low self-esteem, loss of confidence, depression, anger, etc and without proper treatment the psychological effects can be more debilitating than the condition. After trying whatever treatments the drug store attendant, commercials, friends or parents personal experience recommends the result can be a trip to the family physician often for the series of drug recommendations with side effects worse than the condition itself. This is where natural treatments should step in as a first line therapy in the treatment of acne. Non-harmful, research based, easy, inexpensive therapies with high success rates. These are our focus. These are the answer. In our guide below we have outlined some of the key pieces of information necessary to understand potential causes of acne, the reason pharmaceuticals should be a last line of therapy in acne treatment, the role of diet changes and additional therapies that have been shown to reduce acne symptoms. Acne vulgaris is a skin condition where the hair follicles (usually in the face) enlarge and produce excess sebum which clog or block them. It is the most common skin condition in North America effecting 85% of teenagers and 20% of adults. Acne’s namesake is a bacteria called Propionibacterium acnes which is often present in these clogged pores. This is why a trip to the doctor may result in an antibiotic prescription. The more common names for the different degrees of acne are blackheads, whiteheads, pimples and cystic acne – all caused by the same mechanism and all can be treated in a similar way. Acne occurs when sebaceous glands in the hair follicles are overstimulated by our hormones. This causes too much sebum to be produced and eventually leads to clogging of the pore. These hormones are our treatment target. These are where we will start to “Treat the Cause”. Reducing high levels of these hormones will reduce acne symptoms. 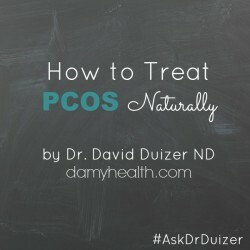 In treating the cause our most important question is – what causes these hormones to rise? This is where things can get complicated. Many things can cause hormone fluctuation. The list below are the simple options that we will look to first. Another cause that hasn’t been mentioned yet that can’t be overlooked is clogging pores from the outside (without excess sebum production) or stimulating sebum production using something external from the body. This can cause acne symptoms and the subsequent bacterial infection of P. acne. Physical irritation, over washing and repetitive rubbing of the pores can also increase sebum production and lead to acne. It is great to exfoliate your skin, wash your face and maintain good hygiene but there is a limit. Increasing the frequency of face washing doesn’t mean you will have less acne. How is Acne Traditionally Treated? The conventional medical system has a few tools they use to treat acne and I’m sure many of you are familiar with them. 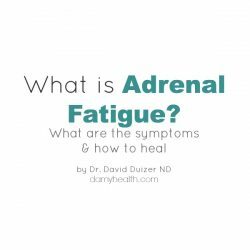 They are very commonly prescribed but either don’t tend to produce long term success or their side effects are not tolerable. 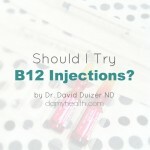 The two main topical recommendations are usually salicylic acid and benzoyl peroxide. Salicylic acid comes in different concentrations/strengths and therefore some can be more dangerous to work with than others. It works as an anti-inflammatory for the skin and as a keratolytic (breaking down keratin) which means that it has a peeling effect. Because it can be quite aggressive it shouldn’t be combined with any other exfoliants or deep cleansers. It can be very drying and irritating. Benzoyl peroxide also comes in different strengths and can be bought over the counter. It works in a different way than salicylic acid. It is anti-bacteria and helps to clear P. acnes infection. It is also keratolytic and therefore can be very drying and irritating. Topical and oral antibiotics aren’t ideal because they promote bacterial resistance to the drugs, the oral forms wipe out our good bacteria in the digestive tract and they really just aren’t a good long term solution. They may help reduce some of the redness associated with a breakout. Oral contraceptives have been used for many years to treat acne in women. 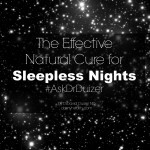 They work in serious cases when other things just aren’t cutting it (like in cystic acne or in premenstrual acne). There are many issues with oral contraceptives (too many to cover here) and I don’t recommend them for acne. Although they have been shown to reduce the rates of endometrial and ovarian cancer they have also been shown to increase the rates of breast and cervical cancer (The breast cancer risk level goes back to normal 10 years or more after discontinuing oral contraceptive use). They have also been shown to increase the rate of benign liver tumors. Using them is not treating the cause. It is only artificially manipulating hormone levels to reduce the acne cascade. They should be used as a last resort (and not used in women over 35). Topical and oral retinoids are the most dangerous on the list and should be avoided. Topical preparations cause skin irritation (burning, tingling, dry skin) and sensitivity to sunlight. Oral preparations (most commonly known as Accutane) of retinoids have been used since the 1980s and were initially marketed as chemotherapy drugs. Accutane was discontinued in 2009 but the generic version is still available (called isotretinoin). Most importantly it is teratogenic (it causes birth defects and miscarriages. It should never be taking without birth control and never while pregnant). The other most serious side effects are inflammatory bowel disease (most commonly Crohn’s Disease) and suicidal behaviour. It is not a medication I recommend under any circumstance. How is Acne Treated Naturally? In Naturopathic Medicine our goal is first and foremost to treat the cause. At the same time we will use different treatment modalities to reduce symptoms to make the journey to healing easier. Although acne is a complex condition caused by hormonal disregulation and associated with bacterial infection it can be treated. The following info is what I recommend before trying any of the pharmaceutical options listed above. 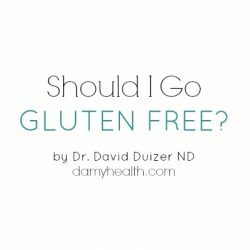 Choices specific to your acne symptoms and dosages should be determined by a Naturopathic Doctor (consult an ND before beginning any treatment protocol). 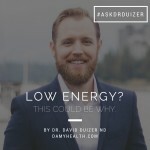 Like most conditions I like to use a multifaceted approach including vitamins, minerals, herbs, diet changes, topical applications and mind-body medicine. I have found a combined approach more successful than any one treatment option. Our goals of treatment are to shrink the follicles, prevent excess sebum production and reduce the infection of P. acnes. This is done by balancing the hormones responsible for these changes, preventing excess hormone exposure and supplying the skin with the proper high dose nutrients it needs to heal. Stress reduction is also an important part of an acne program. The first documented idea that our food choices correlated to acne symptoms was in 1887 when various foods (mostly dairy products) were recommended to be restricted in the treatment of acne. These recommendations were highlighted in dermatology textbooks until the 1950s when tetracyclines were developed, followed by benzoyl peroxide in the 60s, topical retinoids in the 70s, isotretinoin (Accutane) in the 80s and topical antibiotics in the 90s. 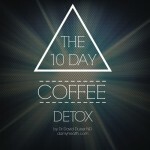 The diet changes provided below are the most important part of the entire treatment program. Each recommendation has research behind it and giving the suggestions a trial of at least 4 weeks will yield the best results. The following supplements are indicated in the treatment of acne. I have highlighted the reason beside each one. Azealic acid – (anti-microbial) 20 % azealic acid has been shown to be as effective as benzoyl peroxide, retinion and oral tetracyclines with many less side effects. Reduce exposure to synthetic cosmetics, shampoos, detergents, hair products, etc. Some shampoos and conditioners (any hair products) can cause breakouts and irritation. This is something to be careful of and monitor. Wash your face every morning and night with a clean damp cloth. Use warm-cool water (never hot). If you are looking for cleanser, moisturizer, makeup, hair product and exfoliant recommendations you can always ask Amy in the comments below. The consequences of acne breakouts are not just difficult for teenagers to deal with. Often adults will downplay the emotional impact of a breakout on their self-esteem, self-worth and confidence. 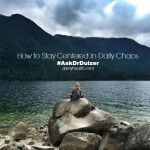 As mentioned above the stress that accompanies a breakout worsens the symptoms and the cycle perpetuates itself. Breaking the cycle can be difficult but it is possible. Louise Hay, in her International Bestseller “You Can Heal Your Life”, correlates acne to “Not accepting the self OR Dislike of the self”. This can be a great place to start. Being forgiving of the self, accepting ourselves for who we are and shifting our idea of who we are from a negative to positive are all essential in the long term success of the treatment of acne and shouldn’t be ignored. Acne can be debilitating, especially in its most severe forms. With the wide range of available natural treatment options pharmaceuticals are often not necessary for treatment. The less invasive, less side effects, less potential for harm the better in any treatment plan and this complete guide is your resource for the natural treatment of acne. 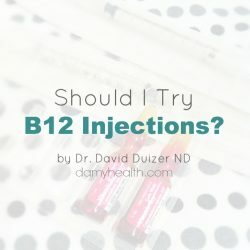 Should I Try B12 Injections? Low Energy? This Could Be Why. What are your cleanser, moisturizer, makeup, hair product, and exfoliant recommendations? I just bought an Annamarie Gianni sample kit to test out their products for my skin/face but am looking for other recommendations as well. Thanks! Yes! Would love to hear your recomendations for cleanser, moisturizer, etc. 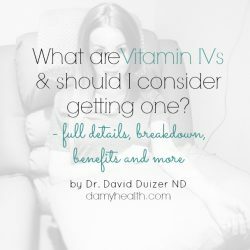 What are Vitamin IVs and should I consider getting one?